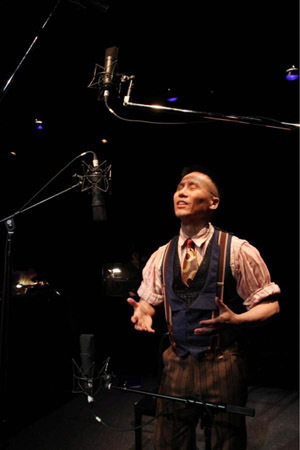 For 30 years, BD Wong has been obsessed with the one-man musical Herringbone, which features a book by Tom Cone, music by Skip Kennon and lyrics by Ellen Fitzhugh, and was first produced in New York at Playwright’s Horizons in a memorable 1982 production starring David Rounds. Wong has headlined four critically-acclaimed productions of the ambitious musical – in which he enacts, sings and dances at least 11 characters – at the Williamstown Theatre Festival (2007), McCarter Theatre (2008), and La Jolla Playhouse (2010), all directed by Tony Award-winner Roger Rees (Nicholas Nickleby, Peter And The Starcatcher). Wong also starred in another earlier production at the American Musical Theatre Festival in 1994. Dixon Place is presenting BD Wong’s tour-de-force performance in this difficult-to-perform musical, which is rarely revived. 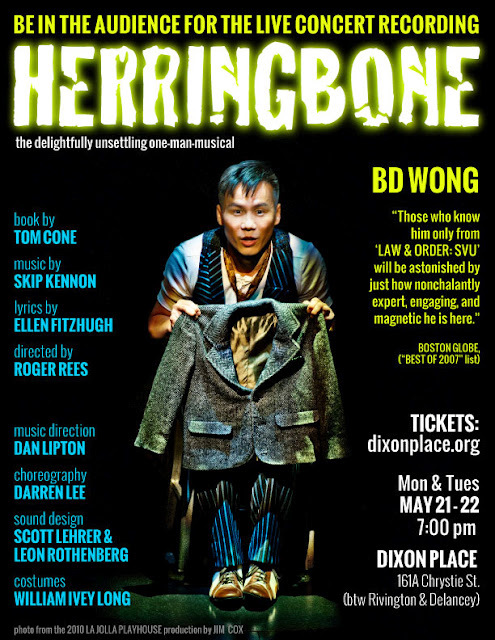 Wong, best known for his Tony Award winning performance in M. Butterfly and his role in the long running hit series “Law & Order: SVU,” will appear in Herringbone to benefit Dixon Place for two performances only: Monday May 21, and Tuesday May 22, at 7:00pm. 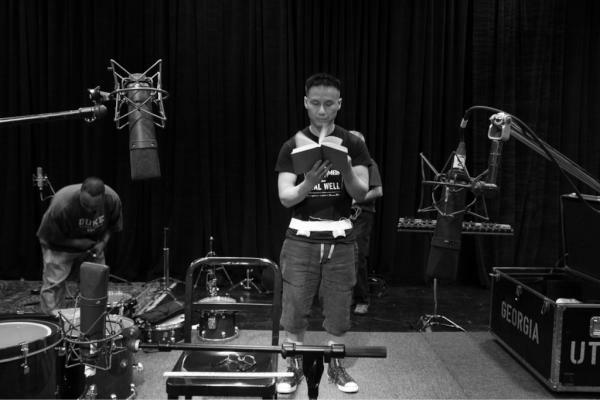 The production, which will be recorded live for a future CD release, will be Wong’s first appearance in New York of the material, timed with the 30th anniversary of the original New York production. Dixon Place is at 161A Chrystie St. (between Rivington and Delancey). Tickets and more information are available at dixonplace.org and at 212 219-0736. Last night, before the first performance, Wong received notification that he had reached his $35,000 Kickstarter campaign goal, which will help fund the live recording of the CD. 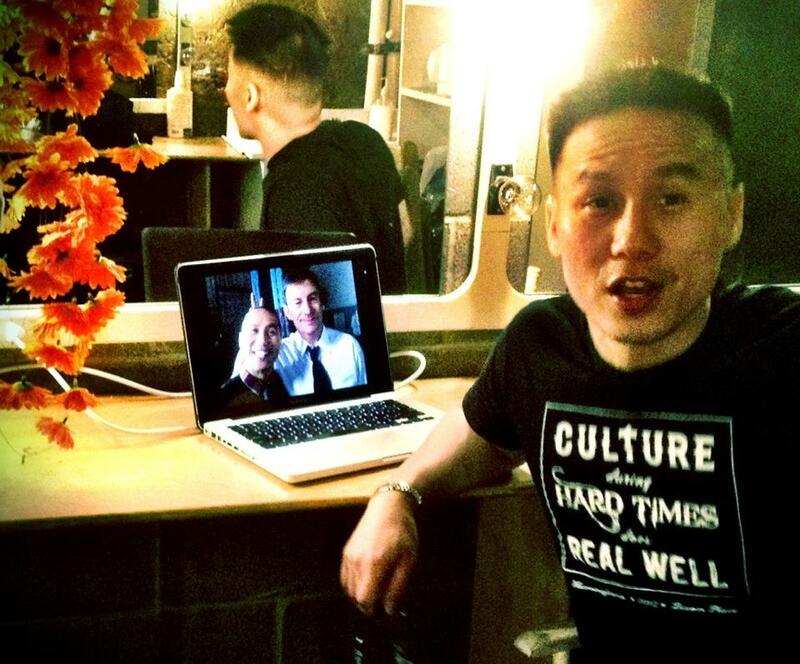 Click below to see BD Wong’s very personal message. I documented Wong’s astonishing performance in 2008 at the McCarter Theatre in Princeton, NJ. Do consider donating to this historical project, you’ll be glad you did. Herringbone is written as a traditional two-act musical with a score of more than 14 songs and 11 characters. The conceit of a single performer enacting all of the characters underlines its theme of the human struggle to negotiate the light and dark sides within. In the musical, set in Alabama during the Great Depression, 8-year-old George Nookin is possessed by the vengeful spirit of Lou, a jaded hoofer who was murdered by Lou’s partner in a Vaudeville act, Chicken Mosely. George’s parents, Arthur and Louise, are torn asunder by George’s astonishing new ability to sing and dance, shlepping across the country as Lou seduces them into believing that exploiting George’s newfound talent is the family’s ticket on the train out of hard times. 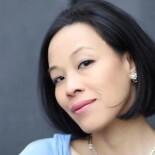 Wong plays George, Lou, Mosely, Arthur, Louise, as well as George’s Grandmother, a floozie hotel clerk, and a host of other supporting characters. Reprising their work on this project from the Williamstown Theatre Festival, McCarter Theatre and La Jolla Playhouse productions are Darren Lee (choreography), Dan Lipton (music direction), Scott Lehrer and Leon Rothenberg (sound design), and William Ivey Long (costumes). 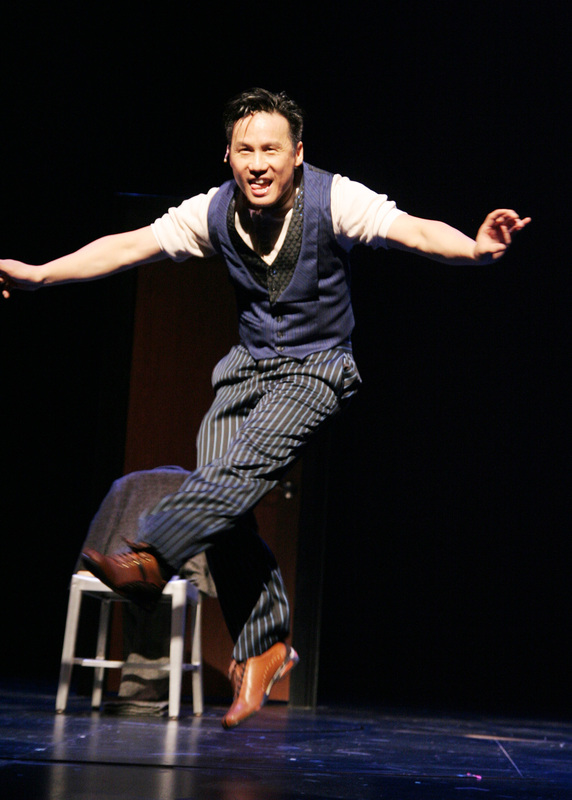 BD Wong won the Drama Desk, Outer Critics Circle, Clarence Derwent, Theater World and Tony Awards for his performance in M. BUTTERFLY. He has appeared in more than 20 films and on television in six seasons of HBO’s “OZ,” eleven seasons of “LAW & ORDER: SVU,” and the inaugural season of the critically-acclaimed NBC drama “AWAKE”. order to expand the understanding of the creative process and its final product, and to provide a supportive environment for emerging artists to present new work. Over the last twenty-five years, Dixon Place has successfully maintained its intimate atmosphere and unique environment while increasing its programming to fulfill the need for performance opportunities for the New York community of performing and literary artists. Click here for more BD Wong articles. This entry was posted on May 21, 2012 by Lia Chang in Asian American Artists, Asian American Pioneers, Entertainment, Music, New York, Non profit, Performance Photography, Theater and tagged Awake, Backstage Pass with Lia Chang, BD Wong, Dan Lipton, Darren Lee, Dixon Place, Ellen Fitzhugh, Herringbone, kickstarter, Law & Order: SVU, Lia Chang, Roger Rees, Scott Lehrer Leon Rothenberg, Skip Kennon, Tom Cone, William Ivey Long.